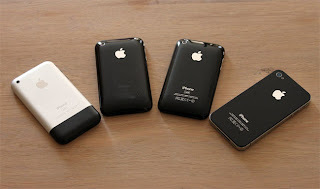 According to foreign media reports, since Steve Jobs announced that Apple's mobile phone after just over five years. January 9, 2007, when Apple CEO Steve Jobs announced at Macworld Expo, Apple's first cell phone was born. Apple phone fans very happy, but most others are skeptical.Five years later, Apple's iPhone, by the relentless improvement, released a series of escalating mobile phone models, let us redefine the mobile phone, cell phone in this subversion of our understanding of the word, changing the entire mobile phone market the pattern. Here, we review the next generation iPhone, the representation of each configuration, including: processors, storage capacity, touch screen, sensors and so on. iPhone3S: 300-megapixel rear camera can shoot video, the new auto-focus, touch focus and auto white balance.